Sweet with a kick of heat! Warm up and cool off your taste buds at the same time with this unique dessert. A fresh treat that will surely be a hit within the family and among all your friends. 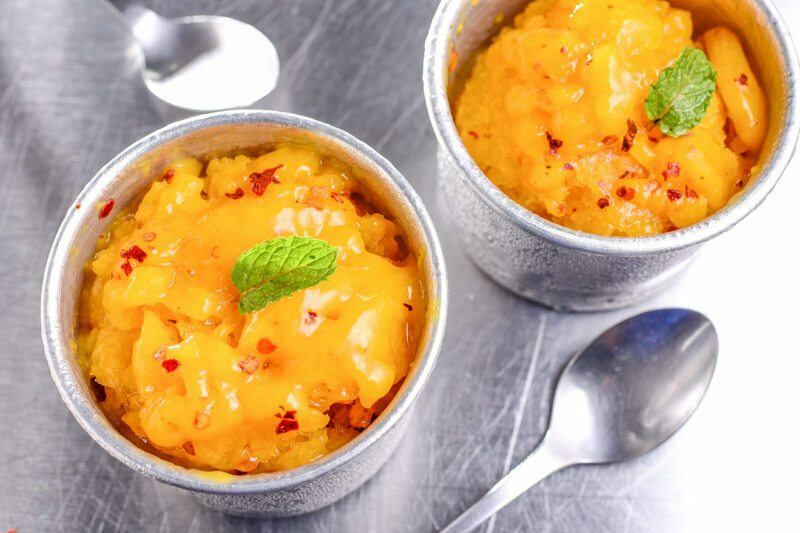 Don't let the chili in this sorbet keep you from serving this treat to your kids. They'll handle the heat well enough, no worries. 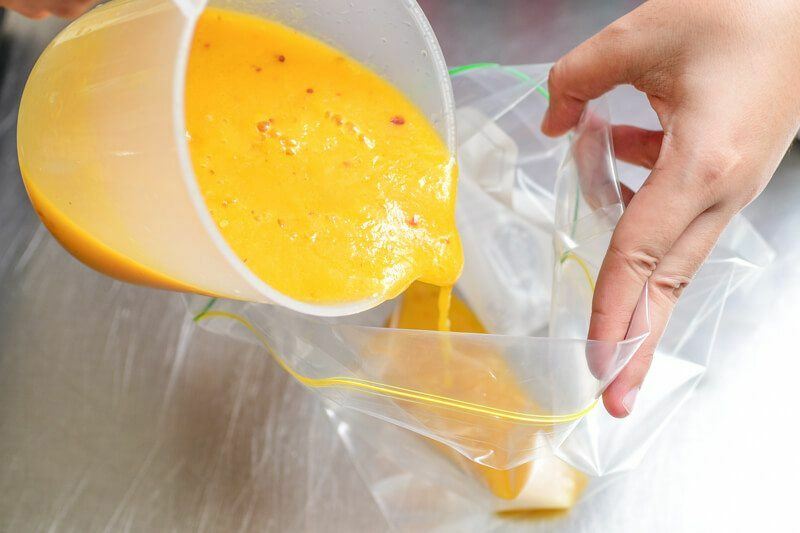 Pour into a resealable bag and freeze for 4 hours. 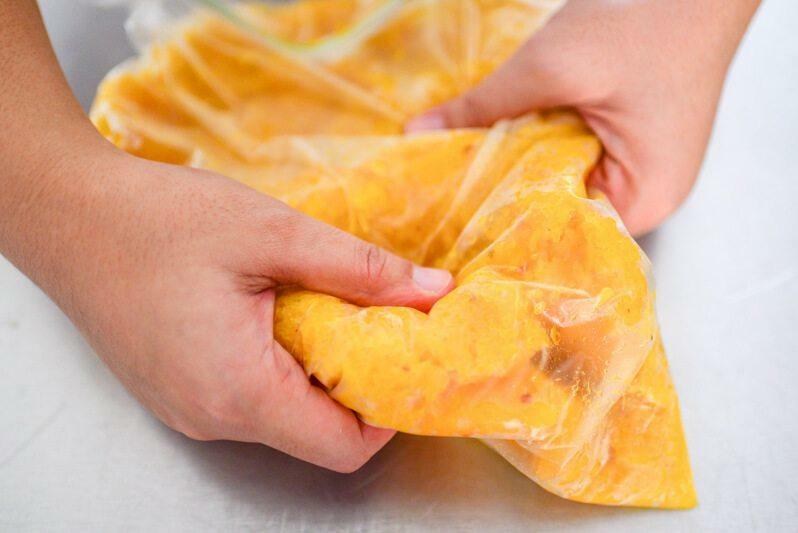 Break down ice crystals by pressing on the mixture through the bag. Return to the freezer and leave to set overnight. 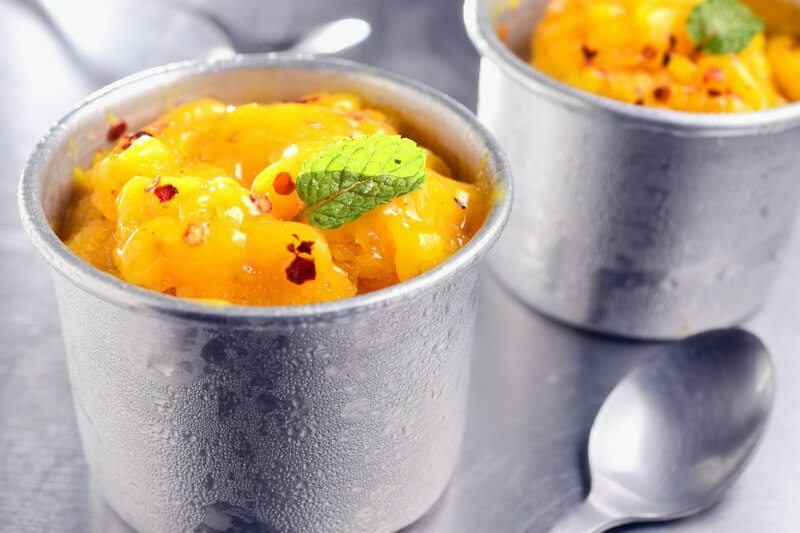 Here's one quick and unique dessert treat – chili-mango sorbet! As strange as it may sound, these two certainly make one interestingly perfect combination. 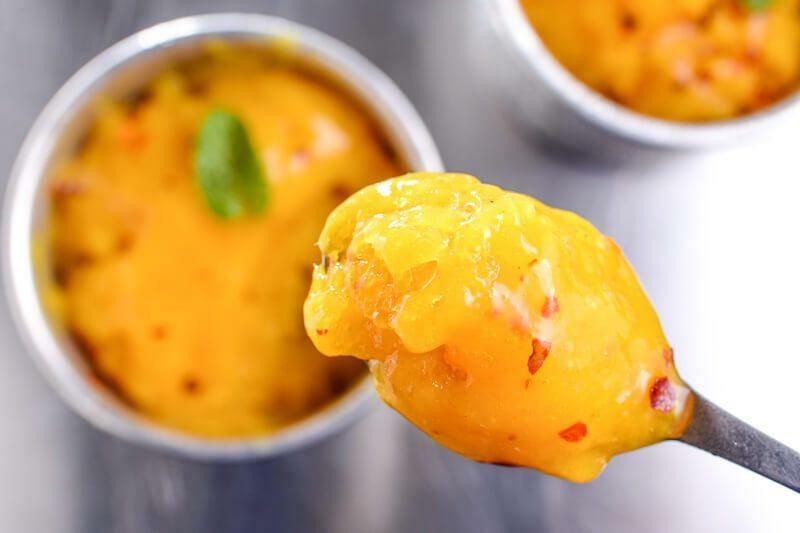 Those random bits of red pepper flakes cause a sudden spike of heat inside the mouth, and just before the spice rises to a point too overwhelming, everything is cooled down by the creamy richness of perfectly ripe tropical mangoes. Sorbets are really nothing more than frozen smoothies made from fruit puree, some kind of sugar, and possibly some acid component. Practically any fresh or frozen fruit of your liking should work. Strawberries, kiwi, watermelon, lime, nectarines. . . any fruit really. Creating unique flavor combinations such as this chili-spiked experiment should be no challenge either, coming down really on how playful your imagination gets. How about a mocha-guava, kiwi-jalapeño, or black pepper and lime? 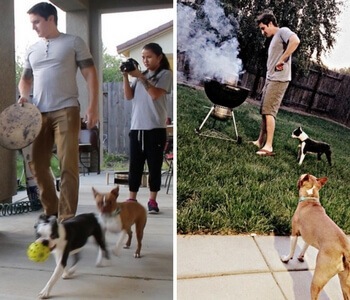 Some ideas may prove to be highly commendable breakthroughs while some may not. Given how easy it is to make your own sorbet, you won't be put off by some unpleasant flavor combos would you? Once you've got a good idea in your head, everything should be nothing more than throwing those ingredients in a blender. For my try, that would be fresh ripe tropical mangoes, some fresh lime juice, a bit of granulated sugar, and a good pinch of chili flakes. Don't worry about putting in too much heat with the chili. 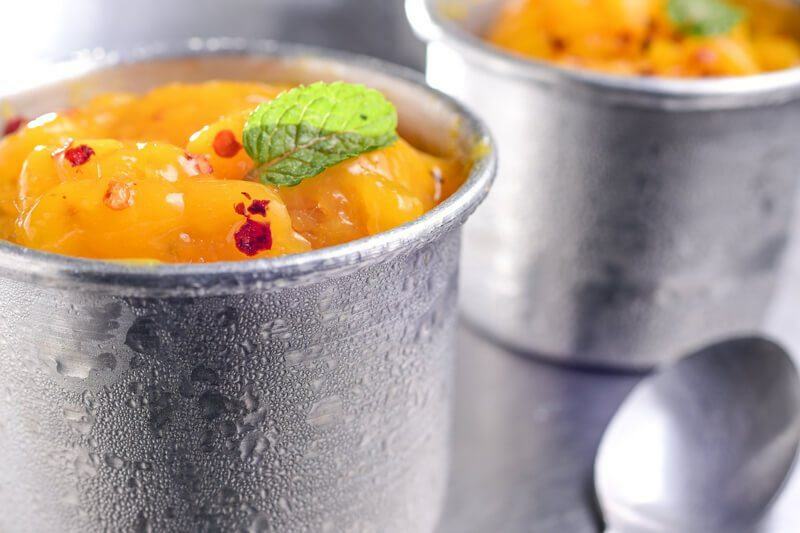 The sweetness from the sugar and mangoes and the frozen nature of this dessert would cut that heat down significantly, believe me. Adding some cream, yogurt, or milk would make this blend a whole lot richer and smoother in the end. In fact, coconut cream would be worth looking at for this specific recipe. But you'll end up with a sherbet rather than a sorbet if you choose to do so. Well, that's the only ingredient that differentiates a sherbet from a sorbet – milk or something to the same effect. 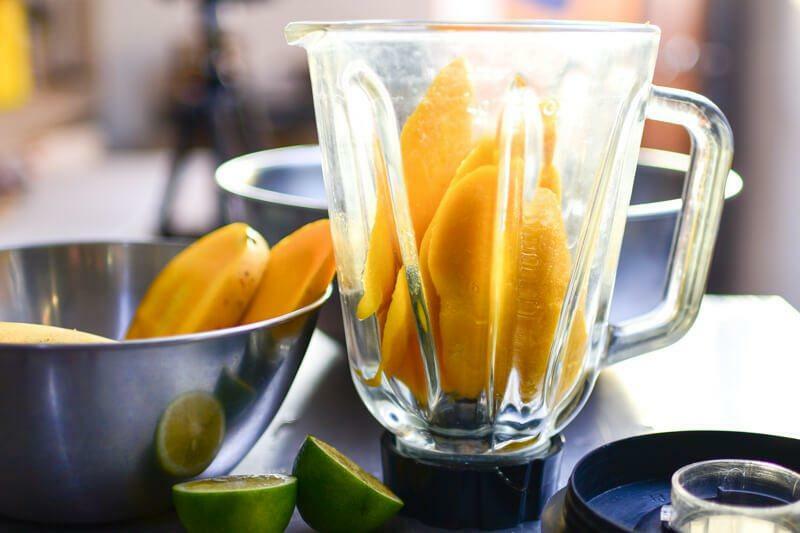 Once everything's blended up smoothly, simply pour it into some container that would sit perfectly in your freezer. A resealable bag would be perfect for this purpose as you'll see later. 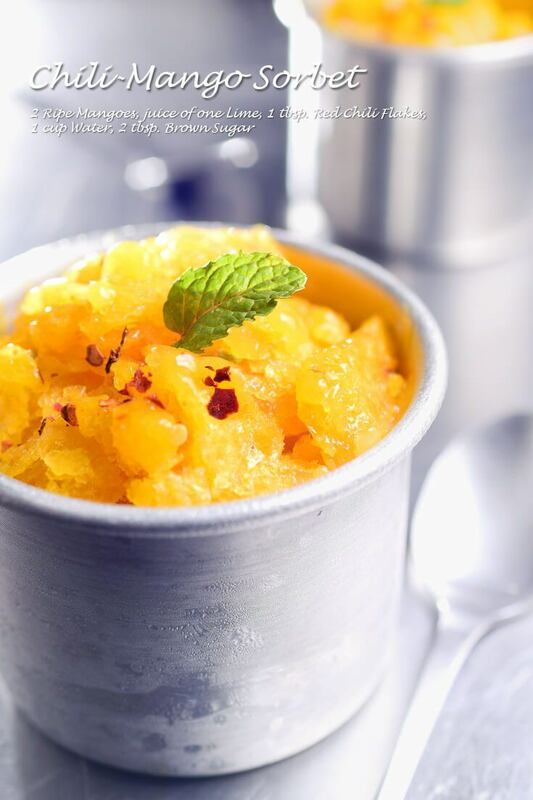 The size of ice crystals that are formed within your sorbet would determine its texture more than any other factor. The smaller the ice crystals are, the smoother your sorbet would be. So how do we affect the size of these crystals? One way would be to freeze the mixture rapidly inside a blast freezer or with the use of some liquid nitrogen. Neither option would be available for most of us so we'll be breaking down those crystals manually. Simply break them down through the bag using your hands. The bag then goes back to the freezer for one more time to set and you're up for one unique treat!